I find the Gatorksins are very long lasting. I’ve been riding on the same pair for the past 12 months, which is perhaps close to 5,000 miles on that wheelset. Continental have made progress in making the tyre more resistant to scratches and sidewall splits. 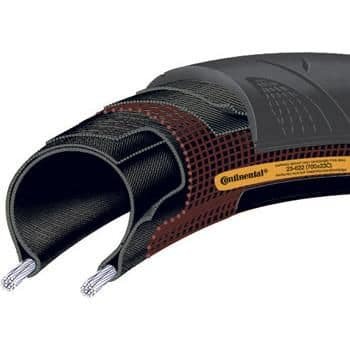 The Continental Grand Prix 4 seasons has probably better grip in the winter than the Gatorskin. It is heavier tyre, and more dependable in the winter. I’ve used them in the past and they are fairly similar in performance to the Continental Gatorskin, but with a better rubber for winter. If you want to go all out for puncture resistance, I recommend either Specialized All Condition or the Schwalbe Durano Plus. I’ve used the Specialized All condition for several years now, rarely getting a puncture. If you riding over rough flinty, gritty road, the Specialized seems immune to anything you throw at it. However, I tend to keep it just for my commuting bike now. It’s OK for winter training rides, but I found the surface just a little too smooth and prone to slip. Also it is quite heavy and gives quite a leaden performance. 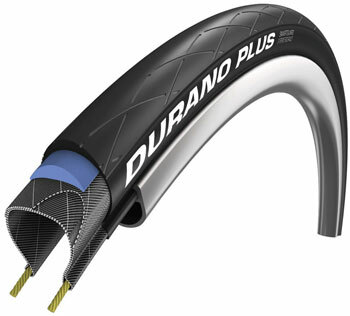 The Scwable Durano Plus is probably a slightly better rides, whilst giving a very high level puncture protection. I have Specialized All condition on my commuting bike. I’ve sometimes used it on winter training rides, but prefer not. It’s just a little too heavy and dead. You don’t want to be mending punctures by the side of the road. But my average speed in winter is shockingly low as it is. To be honest, I never use these cheaper tyres, I always feel that spending £40 on a tyre pays you back in terms of good value. However, tyre technology has moved on quite a lot. 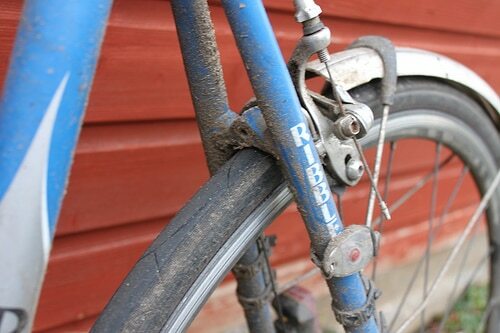 These days the ‘budget’ tyres are probably better quality than the ‘best’ tyres of yesteryear. I obtained a set of Bontrager R3 plus tyres, mainly because of there puncture resistance, but even I wore them out in 3 months, 1200 miles. So I have the ones that you mentioned in another article, the Schwalbe Evolution Ultremo ZX, these are fine and as I don’t have to consider tyres very much, ride them all year. The best(& cheapest) all round tyre I have found is the Vitorria Zaffiro Pro Tech. Important to get the ‘Tech’; tread pattern same as Pro but different rubber compound. Far superior to Gator Skins on slick inclines. Doubt you’ll get 3000 likes on the back out of them & I’ve never managed to get other than 23mm. Hi Tejvan and congratulations on your well-earned successes and blog. 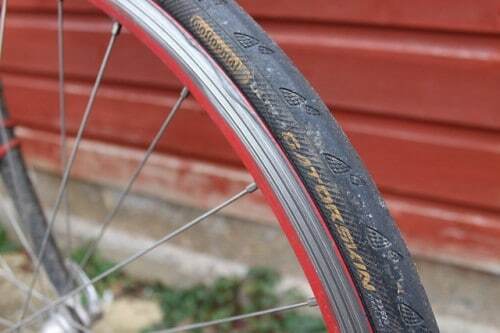 The lighter Schwalbe Durano “Performance” tyre [700x25c] proved better than the Plus over many thousands of miles. The lighter tyre is now my favourite all year round tyre for incredible puncture resistance and very long life. My, almost puncture free, latest set of Continental 4000S has proved that Continental has no control over the variability of their tyre compounds. An earlier set grew huge holes from the tiniest of flints and punctured far too readily to be worth using. I am now riding a new set of 4000S which were supplied by the online dealer when Continental denied all responsibility for their trashy rubber. I kept the new set in a dark, unheated shed for a year before finally daring to fit them. Hoping to use the pro mechanic’s trick for aging the rubber before use. The 4000S offers a harsher ride than the Schwalbes without any real advantage in lightness or [perceived] rolling resistance. The Schwalbes seem to have a more “rubbery” feel with a greater sense of “urgency” than the 4000S. Late to the party but another budget recommendation for you – Specialized Espoir Sport 25mm tyres (not the more expensive Elites) can be picked up for £15. In 20 months and 12,000km of riding through all seasons in the UK and even the odd bit of gravel I’ve not had one puncture and they’re still going strong. All I’ve done is keep them topped up to 85-100 psi, depending on conditions, and It seems the featured “Double Black Belt” protection really does work.